Modern car keys have gone completely digital and are far more complex than their older counterparts. Automobile manufacturers produce electronic car keys that are very hard to duplicate and offer greater security to vehicle owners. Understandably, if you lose or damage your car key, you have no option but to get a car key replacement from your dealership or a professional auto locksmith like Manassas Lock And Key. Us vs dealership – Who to choose and why? When it comes to getting a transponder car key replacement , many people naturally prefer their car dealership over other professionals. This is basically due to the trust and credibility factor. However, people who avail this facility from their dealerships have to travel all the way to their address, wait several days for a replacement key, and pay an exorbitant amount of money. What if you could get a high-quality replacement key without going through such extensive labor? 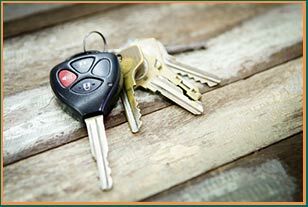 Manassas Lock And Key is a trusted auto locksmith firm that offers same-day car key replacement at a much cheaper price compared to your dealership. Plus, we have state-of-the-art equipment that helps us forge new keys with remarkable intricacy and precision. Did you just break a car key in the lock? Have you misplaced the key somewhere and can't seem to find the spare one? We offer roadside assistance to stranded customers anywhere in Manassas, VA. Our mobile vans are equipped with advanced GPS technology that helps us track down your location. We come equipped with all our machinery and offer services like complex key cutting right on the spot. We began operating in Manassas, VA area almost 10 years ago and have managed to amass a loyal base of automotive clients with its reliable and value for money services. People trust us over their dealerships because we provide excellent quality flat metal keys at a budget-friendly price. Transponder chip keys are not easy to duplicate since they are designed as an advanced anti-theft measure. Our locksmiths offer transponder key replacement with a two-step process. First, our auto locksmiths will cut the key blade to the correct configuration and then program your transponder chip so that it can communicate with your vehicle. Our professionals have been successfully able to replace transponder keys of all manufacturers and provide same-day replacement facility that no car dealership can assure you. Lost or damaged your car keys? Avail our affordable car key replacement service now. 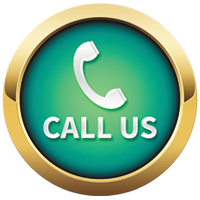 Call us on 703-270-6005 !